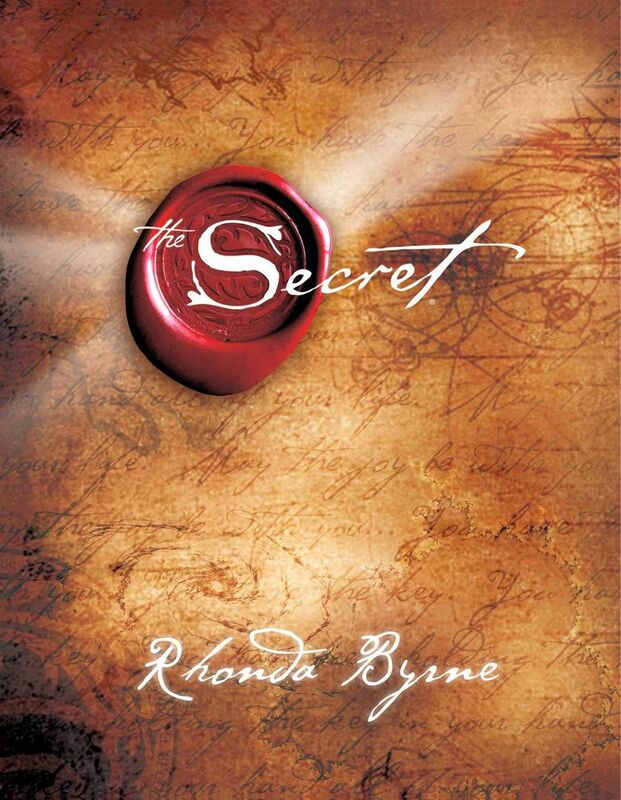 The Secret, which discusses the Law of Attraction and how to use it in your life, rose to the top of many bestseller lists and inspired offshoots like The Secret Gratitude Book, The Secret Day-To-Day Calendar, and its own official website. The book introduced many people to the concept that their thoughts may influence not only their actions but the experiences that they bring into their lives as well. If you focus your attention on achieving a goal and believe not only that you can do it, but that you already have done it, you can achieve virtually any goal you set your mind to. If you focus on what you don't want, you are inadvertently drawing that into your life. For example, if you constantly ruminate on what is stressing you, you'll actually draw more of those situations (and accompanying stressed feelings) into your life. Instead, the trick is to focus on what you do want in your life, and you'll get more of that. The Law of Attraction, the principle that you attract whatever you focus your energy on (good or bad), works with relationships, possessions, goals, and anything else you are able to focus on—even your own health. The book shares other insights and specific strategies to use, gives a history of the use of the Law of Attraction, and provides examples on how it's worked in the lives of various people, making it an interesting and informative read. The main benefit of this book is that it is empowering. It reminds you that there is a lot that you can do to change your circumstances, even if things seem bleak. Given research on optimism, visualization, and the power of perspective, there's a lot behind this. The secret encourages people to really visualize their goals clearly in order to attract what they want. It points out that it's not always a straight line between where you are and where you want to go, and we can't always detect when things will turn around, but perseverance and a belief in oneself is key. It encourages us to get into a better frame of mind in order to maintain motivation to pursue goals, and research on broaden-and-build theory backs this up this approach, demonstrating that we tend to build our resources more when we're feeling positive emotions. Overall, it's a good read that can help you to reach your goals and feel less stressed in the process. The book has caused some controversy. For example, some people believe that it conflicts with the religious values of Christianity and other major religions, while others see it as a complementary approach. The book does spend considerable time on how to use the Law of Attraction to gain an expensive car or other material possessions, and without direct action; many people have asserted that having such a focus on external things and material wealth goes against the spiritual wisdom of the Law of Attraction, reducing it to a parlor trick of sorts. And there's also been criticism of the idea that we create our own difficult circumstances in life; the obvious examples of children born into abuse or millions of people born into extreme poverty doesn't seem to fit well with that explanation of reality. The Law of Attraction itself can be controversial, as it's not a scientifically proven 'law', but more of an anecdotally observed phenomenon. My main concern with the Law of Attraction, especially as presented in 'The Secret', is that some people may take the 'you create your own reality' message as proof that they are to blame for challenging circumstances which are beyond their control. Accidents, serious illnesses, and other major life circumstances can be easier to weather with a feeling of personal control and a proactive attitude like that espoused in the secret; these same challenges can be all the more crushing when people blame themselves for their existence. The Law of Attraction, in my opinion, can explain a lot and can be used for its positive benefits, but does not account for all negative events we encounter. Challenges are a part of life, and facing them makes us stronger; blaming ourselves and beating ourselves up over the challenges we face is absolutely not helpful. Countless thousands of people have found the principles espoused in The Secret to be life-changing. Many people have found it to provide significant relief from stress in that it can provide the reader with more of an internal locus of control, positive attitude, and clarification of goals. Though there are some hiccups to it, I would say that this book can provide some excellent opportunities for stress relief and a rough roadmap to a better life.